Exhibition of students (adults and juniors), of this year’s visual workshop entitled: “Art Paths”. Since December 2017, various activities have been hosted at the Lab, guiding youngsters and adults in various “art trails”. The adults were involved every Wednesday and Friday with marble photographs, handmade paper, book making – multi-colored, colored woodcuts. They have come into contact with engraving as a tool for communication, testing, learning rules, creative expression, experience, through the making of prints, essays, numbered engraving works. The purpose of the seminar was to acquire new ways of visual communication and personal expression, creative observation, perception, synthesis. 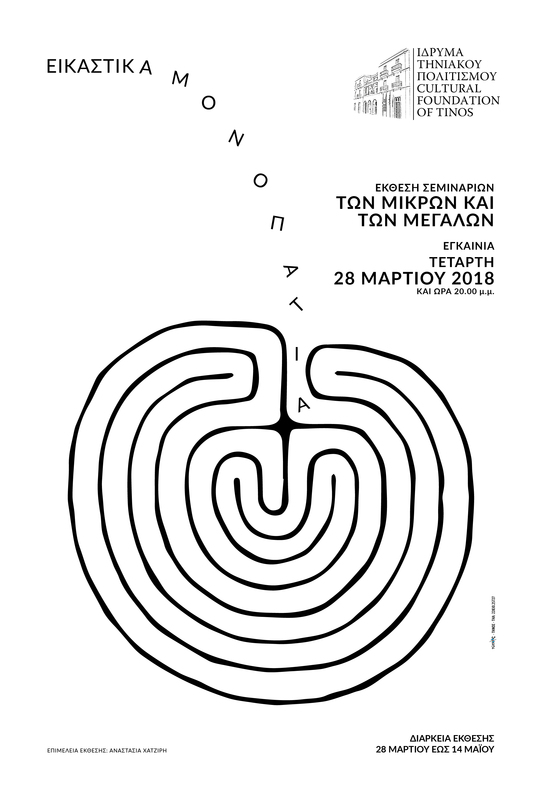 On Saturdays of the last four months, children of Class D, E, F, Elementary Schools of Tinos “walked” on paths of art at the Cultural Foundation of Tinos. A series of stand-alone educational meetings, creative activities with a different subject every time, were held on the 1st floor of the Residence. They met different artistic approaches by initially entering the paths of Egyptian civilization, followed by European civilization. On the occasion of 2018 denoted the HALEPA year, the children met the art of the tragic and humble Tinian sculptor. They talked about the three periods of his life, tried to solve riddles of his works, expressed themselves with their own creations inside the museum space beside the compositions of the artist. In the end, they managed to create a massive board game of knowledge aiming for young and old people to “play” the legend of HALEPA, a peculiar character raving about art.